After curative resection of stage II colon cancer, adjuvant chemotherapy with 5-fluorouracil/leucovorin (FL) or capecitabine is selectively recommended. However, there is little evidence of the effect of capecitabine on oncologic outcome in geriatric patients with stage II colon cancer compared to that of FL. The aim of this study was to determine the difference in recurrence-free survival (RFS), cancer-specific survival (CSS), and overall survival (OS) in patients older than 70 years of age with stage II colon cancer receiving capecitabine and FL. 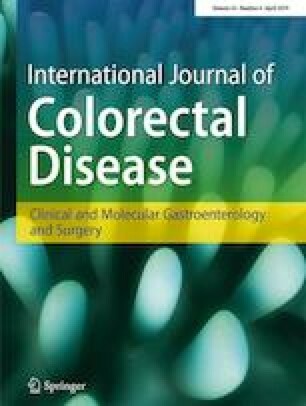 Patients over 70 years of age diagnosed with primary pathologic stage II colon cancer at the Seoul National University Hospital from January 2005 to December 2015 were included. A prospectively collected database was analyzed retrospectively. Patients were separated into an FL group and a capecitabine group. The primary outcomes were RFS, CSS, and OS. Of the 154 included patients, 96 patients received FL and 58 patients received capecitabine. There was no difference between the two groups in RFS, CSS, or OS (p = 0.763, p = 0.221, and p = 0.470, respectively) as measured by Kaplan–Meier analysis with log-rank test. Administration of capecitabine as compared to FL was not a factor affecting RFS (hazard ratio [HR] 0.503, 95% confidence interval [CI] 0.145–1.745), CSS (HR 1.519, 95% CI 0.348–6.629), or OS (HR 0.941, 95% CI 0.290–3.053) on multivariable analysis. Capecitabine is a safe regimen in terms of oncologic outcomes compared with FL in older patients with stage II colon cancer. This research was supported by the Basic Science Research Program through the National Research Foundation of Korea (NRF) funded by the Ministry of Education (No. NRF-2017R1D1A1B03036191). This study was conducted with the approval of the institutional review board (IRB) of Seoul National University Hospital. Requirement for consent was waived with permission from the IRB. All procedures performed in studies involving human participants were in accordance with the ethical standards of the institutional and/or national research committee and with the 1964 Helsinki declaration and its later amendments or comparable ethical standards.